I was all set to try and get off jury duty. Turned out they didn't want me and sent me home. I still think if they'd pay something they'd get more cooperation. Problem is some employers pay you and some don't. And self employed folks like plumbers and truck drivers really get hosed. Minimum wage in Arizona is $10 an hour. They should pay something comparable instead of forced volunteerism. People would be more willing to serve. That's how I see it. Oscar Who? No mom, go back to sleep. Too many awards shows, me thinks. Can't watch the Oscars as it's on opposite The Walking Dead. Nuff said. I won't even answer the phone during the Walking Dead. My mother was one of those people who would always open the front door if someone knocked. And would always answer the phone if it rang. Frankly, if someone's at the door at two AM, perhaps opening it may not be the best answer. "What if it's an emergency?" she would always counter. "What if it's Cox?" I would point out. Keep the doors locked and don't answer that phone. Back in my early days the neighbor's house was on fire and they came knocking on our door, even though two other houses were closer. And, of course, my mom answered it and called the fire department. And henceforth always used the emergency defense. And I would counter: "What if it's Mike Cox?" It seemed I had the superior argument. After she died, I was at my dad's house and smelled smoke when I was taking the dog out for a walk. I started to call the fire department, then a fire engine came roaring down the street and I figured they did not need me. But no one was at the door. I just smelled smoke. That would have been different. It could have been Cox. I have jury duty next week. They don't even pay you at all unless you get on a jury, then it's only $12 a day. Prisoners making license plates can earn more. And they why no one wants to do it. I've vowed I will not get on a jury and will do the bare minimum to get out of there as soon as possible.They don't even have free parking. The courthouse is quite some distance from where I live. There is nothing good to be obtained from this. At first I thought it was my civic duty and all that nonsense. Then I got it deferred. Now, I have to deal with it. I haven't decided if I'll claim bias or show up with aluminum, foil on my head to stop the aliens from listening to my thoughts. I finally got my schedule for Wild Wild West Con. I'm just doing a presentation on What's New in Weird Westerns Sunday afternoon. I'll be around most of the con. Keep in mind I'm co-chair of the HWA Arizona Chapter and trying to get this chapter up and running. We have people in Tucson but they do not come to meetings or express their interests in what they want from their chapter. I also have news about Westercon. So, if you're attending and want to talk about these topics, flag me down. Where I live I have to go to a cluster box to get my mail. Today is President's Day. It's a fairly major holiday. All day long I've observed my neighbors going by to get their mail--oblivious to the fact there is not going to be any. I'm tempted to go up to them and ask,"Are you stupid or something?" But that would do little good. It's just the quantity of folks. There are about 90 mail boxes there and at least ha;f of them have had somebody try and pick up mail. Got my income taxes done. I'm always glad to have that out of the way. I get a small refund this year. The only certainties in life are death and taxes. Who said that? Supposedly it was Benjamin Franklin. Back in colonial days the main tax was tariffs. Taxes I'd like to see: Taxes on fish. I don't like eating fish. I never have. So, that be a wonderful tax. and that's the problem, we all like taxes if someone else is paying them. Taxes that would be interesting, but tough to cllec. Tax on flying saucers. I'd love that one. Tax on ghosts. That would cut down on haunted houses, I'll bet. Taxes on cats. Why cats? Well, dogs pay taxes in most places in the form of dog licenses, but cats don't. Screw the damned cats. One problem with Tucson during the winter months is the place is crawling with bums asking for money. They're everywhere. One of their favorite places is the median strips in middle of the road. One thing I still haven't quite adjusted to is how warm it is. In the mountains of Colorado I'd still be looking at a few more months of winter. Here in Tucson I'm running round in a short sleeve short and haven't put my winter coat on once. I don't really miss slipping and sliding on icy sidewalks. No sirree I don't. 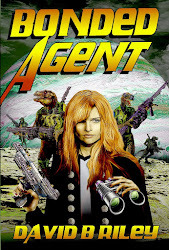 Well, I'm nearing completion of a short weird western novel called The Venerable Travels. I haven't written any long fiction in this category since Miles O'Malley appeared in three novels [now available in one collection The Devil Draws Two]. 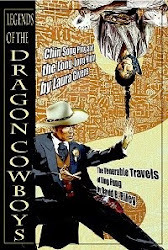 Anyway, the new book features Ling Fung who has come to the American west after getting kicked out of China. He appeared in a short story called Under A Dark Sign , but this is first novel. Novels let a character stretch out a bit and complain about the cold and do things there's never time for in a short story. More info will follow on getting it published and such. Got my eyes dilated today. I wish they didn't do that. "All part of your eyes exam," they tell me. I had a myrtle bush I planted shortly after I moved in last year. I seems to have bit the dust. My yard is a harsh environment. Big it is not. Hot and dry, it is. Now I have to figure out what to replace it with. I've been meaning to comment on Emerald City. I just love that show. All I can say is watch it--and try and download it. Watch it in order or it won't make much sense. This sure as hell ain't your mommy's version of the Wizard of Oz. Well, Ground Hog Day is over. They say the one in Pa saw his shadow. I don't care. I celebrated the holiday with sausage. It was pretty good. [see yesterday's posting]. For the past decade I've tried to get people to celebrate Ground Hog's Day. No, not by seeing if some creature supposedly saw his shadow. By eating sausage. Sausage? Sausage is made from ground hog--end of story. I've gotten emails telling me ground hogs aren't related to pigs and are from the marmot family. Of course. I never said they were. I said people should eat sausage because sausage is ground hog. It is. They take hogs and grind them up. And tho I wander the valley of ignorance, I shall persist in spreading the word that thou must partake in sausage, tho thou ridicules me for my beliefs. Just as Charlie Brown's friend, Linus, faced ridicule for telling people about the Great Pumpkin, I too shall be ridiculed for telling everyone to go forth and eat sausage on February 2nd.